We are your auto body repair shop that offers services customized for you! 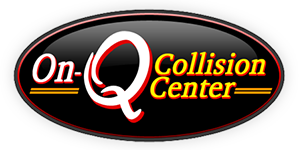 On-Q Collision Center hopes you are enjoying all of the fun that Wausau and Wisconsin have to offer during the summer months. We have found that there are so many things to do here. Whether you are hitting the links at Greenwood Hills or Wausau Country Club, sipping on some wine on the patio of the Lil Ole Winemaker Shoppe before you go to the Concert on the Square in downtown Wausau, swimming or boating in Lake Dubay or just enjoying the ice cream from Dairy Queen, there is NO denying that summer is a special time. All of the extra time spent in your car or truck to get you to all of these amazing things can definately cause the interior of your car to require some extra cleaning. We would like to give you some car cleaning tips as found on the website autobodyreview.com. We hope they help. BUT, if you find that the summer has caused more dirt and grime than you want to tackle, we do offer detailing services. Just stop on out and have us take a look. Maybe we can advise you or maybe you just want us to take care of it for you. Either way, we would love to meet you and help.